Today’s APOD is one of the most gorgeous reflection nebulae I’ve ever seen. 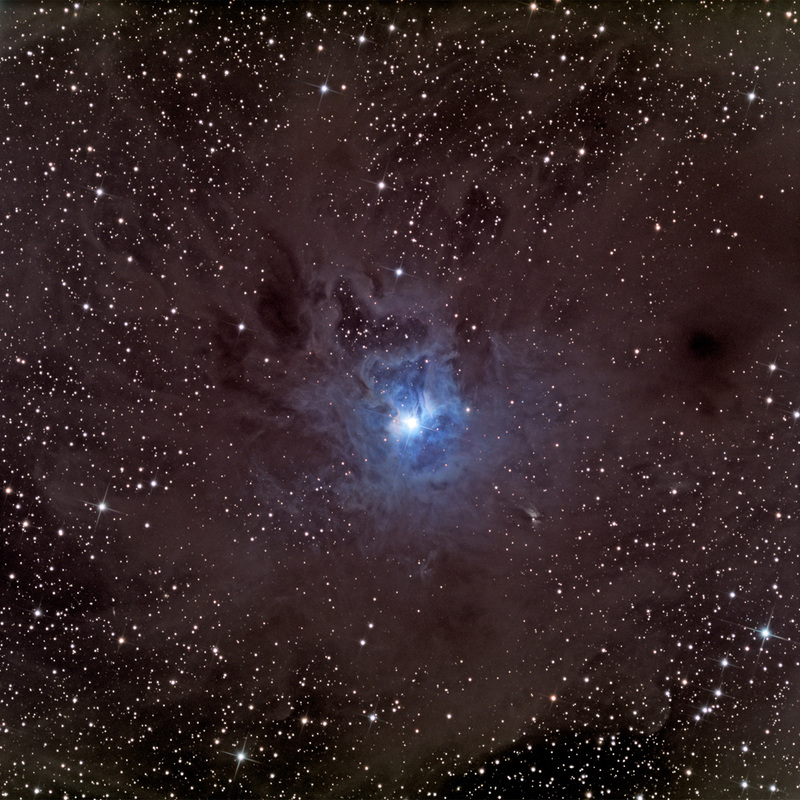 NGC 7023, the Iris Nebula, around 1300 light years away in the constellation of Cepheus. 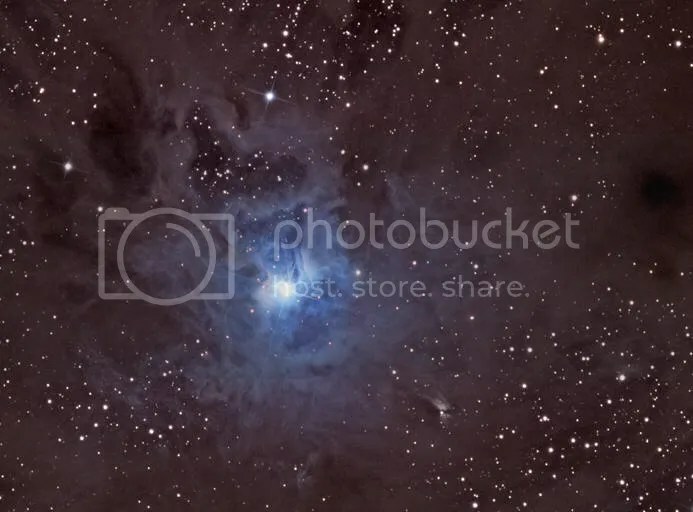 That central blue star is most likely newly formed, still swaddled in those dark dusty molecular clouds which are blocking out the background starlight. It’s the light from this central hot star which reflects off those clouds, illuminating the turbulence caused by the star’s powerful stellar wind and causing such a beautiful image. On a more personal note, this particular nebula shows an interesting infrared spectrum. Another prime hunting ground for those ever ambiguous complex molecules.